Weight indicator with 5,7 inches touch screen display. IP65 housing. 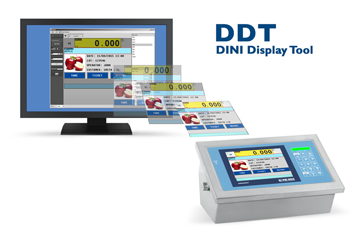 In addition to the standard weighing programs that are available also has a development environment for specific applications with an integrated debugger and programming tools for the PC. 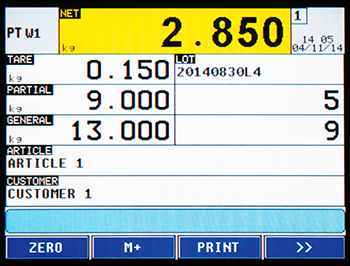 Thanks to the completely customizable screen layouts it can display all the weighing data, database records and free texts, this considerably simplifies the user operations. CEM approvable (OIML R76/EN 45501). 5,7 inches (120x90mm) resistive backlit color touch screen graphic display. Suitable for use with gloves. ABS case with IP65 protection.